Class photo. 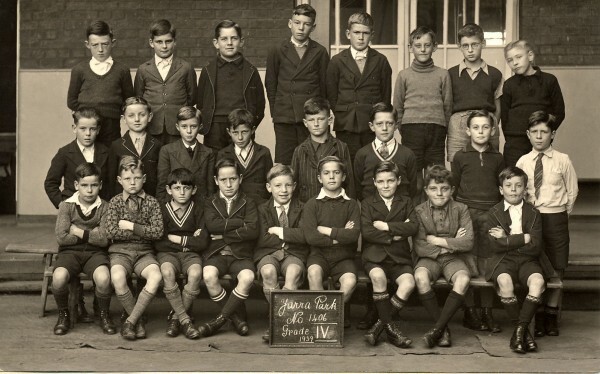 Grade IV at Yarra Park State School, East Melbourne, 1939. Tom Ovenden (born 1929), son of George Edward Ovenden and Yatala (nee Bruce) of 94 George Street, East Melbourne, is standing in the middle row, third from left (as the viewer sees it).